The Washinton Park high-rise is located in downtown Portland with the Max Line and a cinema nearby. Amenities include secured parking, roof deck, and storage available to some units, as well as a workout room. 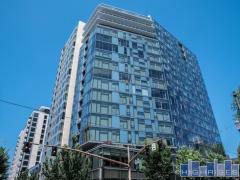 Have any comments or questions about Washington Park Condos? Ask your question and/or share your thoughts about this Building.